Mr. Scott made a motion to adopt Resolution 2018-092, seconded by Mr. Gross. Jack Branagan, 961 Old Schoolhouse Road asked if the Township Engineer has completed the engineering for Old Schoolhouse Road. Ms. Knott stated the drainage and paving would be completed this year following the completion of the Ridge Road project this fall. Mr. Branagan provided photos of the poor conditions of the road and asked that they be reviewed by the Township Engineer. WHEREAS, the Stillwater Township Code Enforcement Officer has recommended that the Township Committee amend the Township Code Chapter 303 “Property Maintenance” since the existing code is outdated and references the “BOCA Basic Property Maintenance Code 1981”, which is no longer in use. The purpose of this code is to protect the public health, safety and welfare by establishing minimum standards for the maintenance of commercial premises; to fix responsibilities and duties upon owners, operators and occupants; to authorize and establish procedures for the inspection of such premises; to fix penalties for violations of this code; and to provide for the right of access to permit repairs when necessary. This code is hereby declared to be remedial and essential for the public interest, and it is intended that this code be liberally construed to effectuate the purposes as stated herein. A lot or tract of land, including all buildings, structures and improvements, on which or on any part of which commercial activity takes place and is the principal use thereon. Commercial activity shall include all nonresidential uses, excluding home occupations and governmental, quasi-governmental, and not-for-profit uses. Commercial Premises also includes multifamily residential uses, whether owner-occupied or not, and single-family residential uses that are not owner occupied. Properties owned and operated by nonprofit organizations are hereby expressly exempt from the provisions of this chapter. Those portions of a building or structure which are exposed to public view and the open space of any premises outside of any building or structure erected thereon. A. Any common-law nuisance or as provided by the laws of the State of New Jersey or the ordinances of the Township of Stillwater. B. Any attractive nuisance which may prove detrimental to the health or safety of children, whether in a building or upon a lot. This includes but is not limited to any structurally unsound fences or structures, lumber, trash, fences, debris or vegetation, such as poison ivy, poison sumac or poison oak, which may prove a hazard to children. C. Physical conditions dangerous to human life or detrimental to the health of persons on or near the premises on which the condition exists. D. Unsanitary conditions or anything offensive to the senses or dangerous to health in violation of the laws of the State of New Jersey or ordinances of the Township of Stillwater. E. Whatever renders air, food or drink unwholesome or detrimental to the health of human beings. Any person having actual possession of the premises or part thereof. Any person who, alone or jointly or severally with others, shall have legal or equitable title to any Commercial Premises with or without accompanying actual possession thereof or shall have charge, care or control of any Commercial Premises as owner or agent of the owner or as a fiduciary, including but not limited to executor, administrator, trustee, receiver or guardian of the estate, or as a mortgagee in possession, regardless of how such possession was obtained. Any person who is a lessee subletting or reassigning any part or all of any Commercial Premises shall be deemed to be a co-owner with the lessor and shall have joint responsibility over the portion of the premises sublet or assigned by said lessee. Person means an individual or entity. A. Every Commercial Premises and any building situated thereon in the Township of Stillwater used or intended to be used for commercial occupancy shall comply with the provisions of this code, whether or not such building shall have been constructed, altered or repaired before or after the enactment of this code. This code establishes minimum standards for the initial and continued occupancy and use of all such Commercial Premises and does not replace or modify standards otherwise established for the construction, repair, alteration or use of such commercial buildings or premises contained herein. B. In any case where the standards established by this code differ from those of the State of New Jersey or other ordinances of the Township of Stillwater in any material degree, the higher standard shall prevail. §303-5 Owner’s and operator’s liability. Owners and Operators shall have all the duties and responsibilities prescribed in this code, and no owner or Operator shall be relieved from any such duty and responsibility nor be entitled to defend against any charge of violation thereof by reason of the fact that the Occupant is also responsible therefor and in violation thereof. Occupants shall have all the duties and responsibilities as prescribed in §§ 303-13 through 303-16 of this code, and the Occupant shall not be relieved from any such duty and responsibility nor be entitled to defend against any charge of violation thereof by reason of the fact that the owner or Operator is also responsible therefor and in violation thereof. §303-7 Premises to be maintained free of hazards. A. Refuse: including but not limited to broken glass, filth, garbage, trash, litter and debris. B. Natural growth: including but not limited to, brush, weeds, ragweeds, stumps, roots and obnoxious growths and dead and dying trees and limbs or other natural growth which, by reason of deteriorating or rotting conditions or storm damage, constitutes a hazard to persons in the vicinity thereof. Trees shall be kept pruned to prevent such conditions. C. Overhangings: loose and overhanging objects and accumulations of ice and snow which, by reason of location above ground level, constitute a danger of falling on persons in the vicinity thereof. D. Ground surface hazards or unsanitary conditions, including but not limited to, holes, broken or missing pavement, loose stone excavations, breaks, projections, obstructions, ice, uncleared snow and excretions of pets and other animals on paths, walks, driveways, parking lots and parking areas and other parts of the premises which are accessible to and used by the persons on the premises. All such holes and excavations shall be filled and repaired, walks and steps shall be repaired and other conditions shall be removed where necessary to eliminate hazards or unsanitary conditions with reasonable dispatch upon discovery thereof. It shall be the responsibility of owners and Operators to take reasonable steps to discover such hazards or unsanitary conditions which may exist on their premises. E. Recurring accumulations of stormwater. Adequate runoff drains shall be provided and maintained to eliminate any recurrent or excessive accumulation of stormwater. Premises shall be kept landscaped, and lawns, hedges and bushes shall be kept trimmed and from becoming overgrown. Plantings required by site plan approval shall be replaced whenever the same have died. In order to preserve property value and eliminate safety hazards and protect adjacent properties and the neighborhood from blighting influences, the exterior of every building, improvement, structure or accessory structure, including fences, shall be maintained in good repair, and all surfaces thereof shall be kept painted and whitewashed where necessary for purposes of preservation and appearance, free of broken glass, loose shingles, crumbling stone or brick or excessive peeling paint. A. Unsafe exterior facilities. Unsafe exterior facilities including but not limited to exterior porches, landings, balconies, stairs and fire escapes, all of which shall be kept structurally sound and in good repair and shall be provided with banisters or railings properly designed and maintained. B. Signs and billboards. All permanent signs and billboards exposed to public view permitted by the Land Development Ordinance and regulated by the Construction Code or other ordinances, regulations or as a lawful nonconforming use shall be maintained in good repair. Any sign or billboard which has weathered excessively or faded or the paint on which has excessively peeled or cracked shall, with its supporting members, be removed forthwith or put into a state of good repair. All non-operative or broken electrical signs shall be repaired or shall, with their supporting members, be removed forthwith. C. Windows exposed to public view. All windows exposed to public view shall be kept clean and free of cracks, missing glass, marks and foreign substances and be unbroken. D. Awnings or marquees. Any awning or marquee and its accompanying structural members which extend over any street, sidewalk or other portion of the premises shall be so maintained as not to constitute a nuisance or safety hazard. In the event that any such awning or marquee is not properly maintained in accordance with the foregoing, it shall, together with its supporting members, be removed forthwith. In the event that any such awning or marquee is made of cloth, plastic or of similar materials, said materials, where exposed to public view, shall be maintained in good condition and shall not show evidence of excessive weathering, discoloration, ripping, tearing or other deterioration. Nothing herein shall be construed to authorize any encroachment of any awning, marquee or its structural members on streets, sidewalks or other parts of the public domain. E. Temporary scaffolding or equipment. No temporary scaffolding or other temporary equipment used for construction, repair or maintenance shall be permitted to remain in place beyond a period necessary to reasonably complete the purpose for which such equipment was intended to be used without permission of the Code Enforcement Officer or Construction Official. F. Store fronts. All store fronts shall be maintained in good repair, and all surfaces thereof shall be kept painted when necessary for purposes of preservation and appearance. In the event that repairs to a portion of the store front are made, such repairs shall be made with materials identical or compatible with the materials used in the area not undergoing repair, to the end that the appearance of the store front shall be uniform and attractive and shall not constitute a blighting factor depreciating adjoining properties. G. Unoccupied buildings. All unoccupied buildings, including those areas visible by the public from the public street or sidewalk, must be maintained in broom-clean fashion and free from litter. Outside storage or display of merchandise or equipment shall be forbidden. However, this section shall not apply to outside storage of motor vehicles, trailers, campers, boats, horticulture or agricultural products or equipment, utility sheds, outdoor furniture or other similar merchandise held for retail sale. 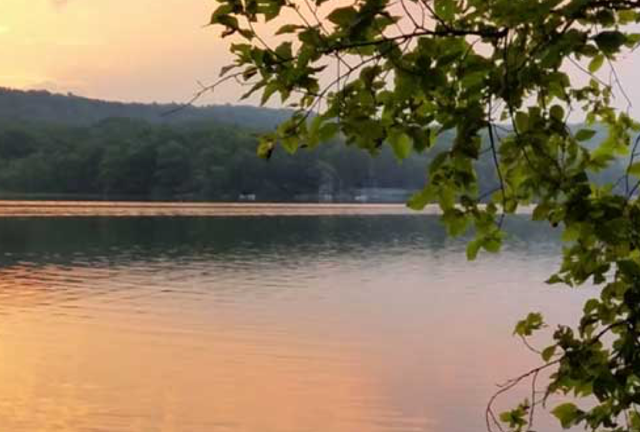 This section shall apply but not be limited to storage of merchandise or equipment in trailers, motor vehicles, shacks, sheds or other outside containers, unless specifically approved by the Township Planning Board or Board of Adjustment. §303-12 Maintenance of parking lots or areas. Parking lots or areas, including the entrances and exits thereto, shall be kept in a good state of repair and maintained so as to comply with § 303-7 of this code. Signs indicating ownership and use restrictions shall be maintained in good repair, clearly visible to potential parkers. Striping, where appropriate, shall indicate spaces, direction of flow and entrances and exits and be maintained so as to assure visibility. §303-13 Removal of garbage and refuse. The owner, Operator and Occupant shall have the duty and responsibility of removing refuse and garbage at least twice per week, but if twice-weekly pickup is not sufficient to remove all garbage that accumulates, more frequent removal shall be required. The same requirement applies to recyclable materials, however the frequency of removal shall be once per week, and if once per week is not sufficient, then more frequent removal shall be required. §303-14 Occupant to maintain premises in clean and sanitary manner. §303-15 Premises to be kept free of infestation. Every Operator and Occupant shall be responsible for the elimination of infestation in and on the premises subject to his control. No person shall deposit any litter on the ground in or about any Commercial Premises. §303-17 Maintenance requirements for shopping areas. A. Means of ingress and egress shall be clearly marked by signs. B. Parking spaces shall be clearly marked by painted lines. C. Arrows shall be painted at each end of a lane indicating the appropriate direction for the flow of traffic. D. A trash basket with at least a twenty-gallon capacity shall be provided for each 150 feet of store frontage in the shopping area. These baskets shall be placed in the walking area or pedestrian area and shall be provided with tight-fitting covers fitted with hinged doors and shall not be allowed to overflow. E. Fire zones should be kept clear of all vehicular traffic and parking, as designated by the Fire Prevention Official of the Township of Stillwater. It shall be the duty of owners and Operators, where parking spaces and lanes are provided for their customers, to see that all parking is done in conformity with the spaces provided and that the flow of traffic conforms to the directional arrows painted in the lanes between the parking spaces. §303-19 Correction of violations; abatement by municipal officers. Where violation(s) exist on the premises, the Code Enforcement Officer, Construction Official, State Police or Health Officer may order the owner, Operator or Occupant to correct the violation or condition within the period of time consistent with the hazard involved and with the measures necessary to remove the hazard; and, upon the failure of the owner, Operator or Occupant to correct said violation or condition, the Code Enforcement Officer, Construction Official, State Police or Health Officer shall have the right to abate the same. 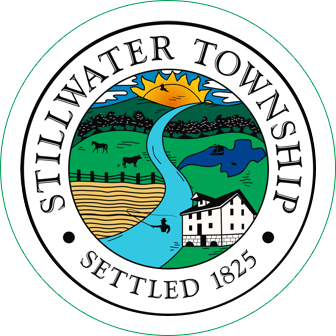 Any abatement by the Township of Stillwater shall be subject to approval by the Township Committee, appropriation of funds by the Township Committee and confirmation of available funds. Where abatement of any nuisance, as defined herein, or correction of a defect on the premises or the maintenance of the premises in a proper condition to conform to applicable ordinances of the Township of Stillwater or the laws of the State of New Jersey requires expenditure of the Township of Stillwater’s money therefor, the Code Enforcement Officer, Construction Official, State Police or Health Officer shall present a report of the work accomplished to the governing body, along with a summary of the proceedings undertaken to secure compliance, including notice served upon owners, Operators, Occupants or their agents, as the case may be, by certified mail, overnight delivery by a reputable delivery services (including but not limited to the United States Postal Service, Federal Express and United Parcel Service). The governing body shall then approve the expenditures made and assess the same against the premises as a lien, enforceable in the same manner a property taxes and municipal utility charges, and may also be enforceable by all means as provided by law. A copy of the resolution approving said expenses shall be certified by the Municipal Clerk and filed with the Tax Collector, who shall be responsible for collection of the lien thereof, and a copy of the report and resolution shall be sent by certified mail, return receipt requested, to the owner. §303-21 Procedure upon discovery of violations. A. Except as provided in § 303-22 hereof, where violations of this code or the regulations hereunder are found to exist, a written notice from the Code Enforcement Officer and/or Construction Official shall be served upon the person or persons responsible for the correction thereof. B. Notice shall be served personally or by certified mail, addressed to the last known address of the person to be served. In the case of an occupant, notice may be posted upon the main entrance door of the building, and in the case of an owner who does not reside within the corporate limits of the Township of Stillwater, the last known address shall be the address of the owner as shown in the office of the Tax Collector. C. The notice shall specify the violation or violations committed, what must be done to correct the same, a reasonable amount of time, not to exceed 30 days, to abate the violation. D. In the event that the violation is not abated, removed, cured or otherwise fully remedied within the time period prescribed in the initial notice or extended time period as permitted by the Code Enforcement Officer, a summons shall then be issued against such person or persons charged with the violation. § 303-22 Violations and penalties. Any person violating any provision of this chapter shall, upon conviction, be punishable by a fine not exceeding $1,250 .00 or imprisonment for a term not exceeding 90 days or a period of community service not exceeding 90 days, or any combination thereof. Each violation of any of the provisions of this chapter and each day that such offense shall continue shall be deemed to be a separate and distinct offense. Mr. Scott made a motion to introduce Ordinance 2018-07, seconded by Mr. Gross. Mr. Scott made a motion to introduce Ordinance 2018-08, seconded by Mr. Gross. A portion of a single-family residence which is designed to inhabited by not more than two persons residing in a familial relationship who are relatives of the owner of the property together with a caretaker or relative, if appropriate, to assist those persons or each other and residents of the property owner. Mr. Scott made a motion to introduce Ordinance 2018-09, seconded by Mr. Gross. 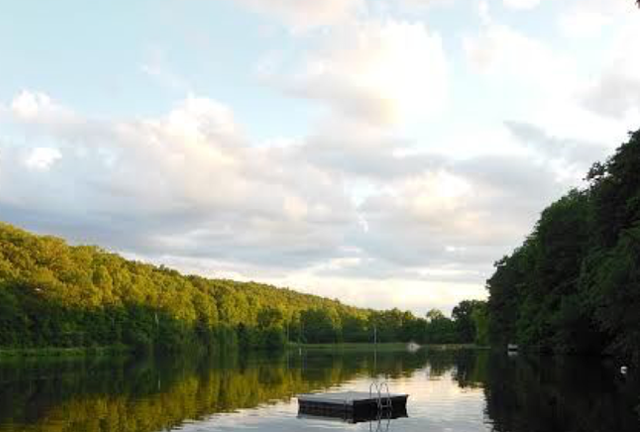 (6) Camping facilities and bungalow and cottage communities. Mr. Scott made a motion to introduce Ordinance 2018-10, seconded by Mr. Gross. (6) Occupancy shall be limited to a maximum of two persons together with a caretaker, if appropriate to assist those persons. (7) No built-in appliances shall be permitted other than the sink. (9) The Applicant shall specify the person or persons who will inhabit the accessory apartment and will enter into an agreement with the Township of Stillwater, in recordable form, specifying such person or persons; agreeing that no other person or persons shall occupy said accessory apartment; agreeing to remove all kitchen appliances other than a built-in sink when the specified persons ceases to occupy the premises; and providing for the specific enforcement of the agreement by the municipality. Said agreement shall be in form for recording and shall be recorded by the municipality in the office of the Clerk of the County of Sussex at the expense of the Applicant. Mr. Scott made a motion to introduce Ordinance 2018-11, seconded by Mr. Gross. RESOLUTION AUTHORIZING THE ISSUANCE OF NOT EXCEEDING $1,988,840 BOND ANTICIPATION NOTES OF THE TOWNSHIP OF STILLWATER, IN THE COUNTY OF SUSSEX, NEW JERSEY. Pursuant to a bond ordinance of the Township of Stillwater, in the County of Sussex (the “Township”), entitled: “Bond ordinance providing for the purchase of two dump trucks in and by the Township of Stillwater, in the County of Sussex, New Jersey, appropriating $217,000 therefor and authorizing the issuance of $195,300 bonds or notes of the Township to finance part of the cost thereof”, finally adopted on August 4, 2009 (#2009-10), bond anticipation notes of the Township in a principal amount of not exceeding $21,000 shall be issued for the purpose of temporarily financing the improvement or purpose described in Section 3 of said bond ordinance, including (to any extent necessary) the renewal of any bond anticipation notes heretofore issued therefor. Pursuant to a bond ordinance of the Township entitled: “Bond ordinance providing for the reconstruction of the Baldwin Gate Bridge in and by the Township of Stillwater, in the County of Sussex, New Jersey, appropriating $110,000 therefor and authorizing the issuance of $100,000 bonds or notes of the Township to finance part of the cost thereof”, finally adopted on February 2, 2010 (#2010-02) bond anticipation notes of the Township in a principal amount not exceeding $20,000 shall be issued for the purpose of temporarily financing the improvement or purpose described in Section 3 of said bond ordinance, including (to any extent necessary) the renewal of any bond anticipation notes heretofore issued therefor. Pursuant to a bond ordinance of the Township entitled: “Bond ordinance providing for the Phase 1 Improvements to Middleville Road in and by the Township of Stillwater, in the County of Sussex, New Jersey, appropriating $363,000 therefore, including a grant in the expected to be received from the State of New Jersey Department of Transportation and authorizing the issuance of $155,000 bonds or notes of the Township to finance part of the cost thereof”, finally adopted on April 5, 2011 (#2011-04) bond anticipation notes of the Township in a principal amount not exceeding $45,500 shall be issued for the purpose of temporarily financing the improvement or purpose described in Section 3 of said bond ordinance, including (to any extent necessary) the renewal of any bond anticipation notes heretofore issued therefor. Pursuant to a bond ordinance of the Township entitled: “Bond ordinance providing for the purchase of peosha gear and a fire truck pump in and by the Township of Stillwater, in the County of Sussex, New Jersey, appropriating $130,000 therefor and authorizing the issuance of $100,000 bonds or notes of the Township to finance part of the cost thereof”, finally adopted on June 14, 2011 (#2011-10) bond anticipation notes of the Township in a principal amount not exceeding $38,000 shall be issued for the purpose of temporarily financing the improvement or purpose described in Section 3 of said bond ordinance, including (to any extent necessary) the renewal of any bond anticipation notes heretofore issued therefor. Pursuant to a bond ordinance of the Township entitled: “Bond ordinance providing for various capital improvements by the Township of Stillwater, in the County of Sussex, New Jersey, appropriating the aggregate amount of $322,000 therefor and authorizing the issuance of $306,000 bonds or notes of the Township to finance part of the cost thereof”, finally adopted on June 19, 2012 (#2012-004), bond anticipation notes of the Township in a principal amount not exceeding $160,000 shall be issued for the purpose of temporarily financing the improvement or purpose described in Section 3 of said bond ordinance, including (to any extent necessary) the renewal of any bond anticipation notes heretofore issued therefor. Pursuant to a bond ordinance of the Township entitled: “Bond ordinance providing for renovations to the municipal building in and by the Township of Stillwater, in the County of Sussex, New Jersey, appropriating $250,000 therefor and authorizing the issuance of $238,000 bonds or notes of the Township to finance part of the cost thereof”, finally adopted on July 16, 2013 (#2013-005), bond anticipation notes of the Township in a principal amount of not exceeding $140,000 shall be issued for the purpose of temporarily financing the improvement or purpose described in Section 3 of said bond ordinance, including (to any extent necessary) the renewal of any bond anticipation notes heretofore issued therefor. Pursuant to a bond ordinance of the Township entitled: “Bond ordinance providing for various capital improvements by the Township of Stillwater, in the County of Sussex, New Jersey, appropriating the aggregate amount of $415,000 therefor, including a grant in the amount of $180,000 expected to be received from the State of New Jersey Department of Transportation and authorizing the issuance of $223,000 bonds or notes of the Township to finance part of the cost thereof”, finally adopted on May 6, 2014 (#2014-008), bond anticipation notes of the Township in a principal amount not exceeding $135,000 in Section 3 of said bond ordinance, including (to any extent necessary) the renewal of any bond anticipation notes heretofore issued therefor. Pursuant to a bond ordinance of the Township entitled: “Bond ordinance providing for various capital improvements by the Township of Stillwater, in the County of Sussex, New Jersey, appropriating the aggregate amount of $373,000 therefor and authorizing the issuance of $353,000 bonds or notes of the Township to finance part of the cost thereof”, finally adopted on July 7, 2015 (#2015-007), bond anticipation notes of the Township in a principal amount not exceeding $232,000 in Section 3 of said bond ordinance, including (to any extent necessary) the renewal of any bond anticipation notes heretofore issued therefor. Pursuant to a bond ordinance of the Township entitled: “Bond ordinance providing for the purchase of a fire truck by the Township of Stillwater, in the County of Sussex, New Jersey, appropriating $420,000 therefor and authorizing the issuance of $285,000 bonds or notes of the Township to finance part of the cost thereof”, finally adopted on November 10, 2015 (#2015-014), bond anticipation notes of the Township in a principal amount of not exceeding $231,000 shall be issued. for the purpose of temporarily financing the improvement or purpose described in Section 3 of said bond ordinance, including (to any extent necessary) the renewal of any bond anticipation notes heretofore issued therefor. Pursuant to a bond ordinance of the Township entitled: “Bond ordinance appropriating $939,200, and authorizing the issuance of $328,475 bonds or notes of the Township, for various improvements or purposes authorized to be undertaken by the Township of Stillwater, in the County of Sussex, New Jersey”, finally adopted on May 3, 2016 (#2016-007), bond anticipation notes of the Township in a principal amount of not exceeding $276,000 shall be issued. for the purpose of temporarily financing the improvement or purpose described in Section 3 of said bond ordinance, including (to any extent necessary) the renewal of any bond anticipation notes heretofore issued therefor. Pursuant to a bond ordinance of the Township entitled: “Bond ordinance providing for the acquisition of a new and additional tractor by the Township of Stillwater, in and by the County of Sussex, New Jersey, appropriating $48,700 therefor and authorizing the issuance of $30,100 bonds or notes of the Township for financing such appropriation”, finally adopted on October 18, 2016 (#2016-014), bond anticipation notes of the Township in a principal amount of not exceeding $27,000 shall be issued. for the purpose of temporarily financing the improvement or purpose described in Section 3 of said bond ordinance, including (to any extent necessary) the renewal of any bond anticipation notes heretofore issued therefor. Pursuant to a bond ordinance of the Township entitled: “Bond ordinance appropriating $175,100, and authorizing the issuance of $119,825 bonds or notes of the Township, for various improvements or purposes authorized to be undertaken by the Township of Stillwater, in the County of Sussex, New Jersey”, finally adopted on May 26, 2017 (#2017-05), bond anticipation notes of the Township in a principal amount of not exceeding $108,023 shall be issued. for the purpose of temporarily financing the improvement or purpose described in Section 3 of said bond ordinance, including (to any extent necessary) the renewal of any bond anticipation notes heretofore issued therefor. Pursuant to a bond ordinance of the Township entitled: “Bond ordinance providing for the improvement of the municipal building parking lot in and by the Township of Stillwater, in the County of Sussex, New Jersey, appropriating $31,500 therefor and authorizing the issuance of $29,000 bonds or notes of the Township for financing such appropriation”, finally adopted on July 5, 2017 (#2017-07), bond anticipation notes of the Township in a principal amount of not exceeding $29,000 shall be issued for the purpose of temporarily financing the improvement or purpose described in Section 3 of said bond ordinance, including (to any extent necessary) the renewal of any bond anticipation notes heretofore issued therefor. Pursuant to a bond ordinance of the Township entitled: “Bond ordinance appropriating $694,100, and authorizing the issuance of $526,317 bonds or notes of the Township, for various improvements or purposes authorized to be undertaken by the Township of Stillwater, in the County of Sussex, New Jersey”, finally adopted on May 15, 2018 (#2018-06), bond anticipation notes of the Township in a principal amount of not exceeding $526,317 shall be issued. for the purpose of temporarily financing the improvement or purpose described in Section 3 of said bond ordinance, including (to any extent necessary) the renewal of any bond anticipation notes heretofore issued therefor. All bond anticipation notes (the “notes”) issued hereunder shall mature at such times as may be determined by the treasurer, the chief financial officer or the acting chief financial officer of the Township (the “Chief Financial Officer”), provided that no note shall mature later than one year from its date. The notes shall bear interest at such rate or rates and be in such form as may be determined by the Chief Financial Officer and shall be signed and sealed by officials and officers of the Township in any manner permitted by N.J.S.A. §40A:2-25. The Chief Financial Officer shall determine all matters in connection with the notes issued hereunder, and the Chief Financial Officer’s signature upon the notes shall be conclusive evidence as to all such determinations. All notes issued hereunder may be renewed from time to time subject to the provisions of N.J.S.A. §40A:2-8. The Chief Financial Officer is hereby authorized to sell part or all of the notes at not less than par from time to time at public or private sale and to deliver them to the purchasers thereof upon receipt of payment of the purchase price. The Chief Financial Officer is directed to report in writing to the governing body of the Township at the meeting next succeeding the date when any sale or delivery of the notes hereunder is made. Such report must include the principal amount, interest rate and maturities of the notes sold, the price obtained and the name of the purchaser. Any note issued pursuant to this resolution shall be a general obligation of the Township, and the Township’s faith and credit are hereby pledged to the punctual payment of the principal of and interest on the notes and, unless otherwise paid or payment provided for, an amount sufficient for such payment shall be inserted in the budget and a tax sufficient to provide for the payment thereof shall be levied and collected. The Chief Financial Officer is hereby authorized and directed to do all other matters necessary, useful, convenient or desirable to accomplish the delivery of the notes to the purchasers thereof as promptly as possible, including (i) the preparation, execution and dissemination of a Preliminary Official Statement and Final Official Statement with respect to the notes, (ii) preparation, distribution and publication, if necessary, of a Notice of Sale with respect to the notes, (iii) execution of a Continuing Disclosure Undertaking, with respect to the notes in accordance with Rule 15c2 12 promulgated by the Securities and Exchange Commission and (iv) execution of an arbitrage and use of proceeds certificate certifying that, among other things, the Township, to the extent it is empowered and allowed under applicable law, will do and perform all acts and things necessary or desirable to assure that interest paid on the notes is not included in gross income under Section 103 of the Internal Revenue Code of 1986, as amended. Mr. Scott made a motion to adopt Resolution 2018-093, seconded by Mr. Gross. 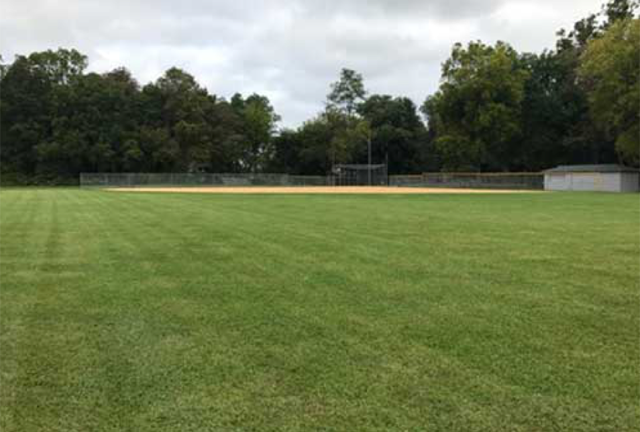 Committeeman Scott: The Recreation Commission held their meeting last night and discussed the summer recreation program – 62 children enrolled with more expected to sign up. Mrs. Tosti would like to provide CPR certification to the counselors for next year. This item will need to be added to the 2019 budget. The DPW report was provided to the Committee. Committeeman Gross: Mr. Gross expressed concern with fire department reports not being submitted. Ms. Knott and Mr. Scott both followed up with the fire department regarding the lack of reports and would continue to do so. Mr. Gross suggested holding funding until the reports are provided. The Zoning Board meeting was cancelled this month. Mayor Chammings: Mayor Chammings asked Ms. Knott to clarify if the location of the “hidden driveway” sign that was recently installed is correct. The Mayor and Ms. Knott participated in a conference call with the Board of Public Utilities and there were many directives given to JCP&L and CenturyLink, as well as other providers. One of the main directives was conducting an audit on the poles due to over usage, in addition to trimming and maintenance issues. The Planning Board met and recommended the ordinances introduced tonight. A memo was received from the DPW Supervisor regarding the Recycling Center driveway. A comparison was done between paving vs. oil/stoning. The cost was $61,000 for paving as opposed to $43,000 for oil/stoning. Due to difficulty with the coordination of the paving, the project will be oil and stone and will be coordinated with Morris Asphalt and the County to use millings. The project should be completed before the winter. Ms. Knott summarized the DPW Supervisor’s memo on the Civil Service titles for the DPW. Changing the titles will allow for steps and wage fairness. Mr. Raff would like a step added prior to signing the contract. This item will be added to the next agenda for consideration and reviewed by Mr. Vex prior to a resolution. Mayor Chammings reported a letter was received from the Office of the Prosecutor regarding Pre-Trial Intervention (PTI) for Mr. Ashley and Ms. Richardson, asking if the township has any input they would like to provide. Mayor Chammings will draft a letter to include the following concerns: No audit was provided when requested by the Township Committee; their prior record; and the need for restitution for the alleged stolen funds if it should be determined that is the case. The Committee agreed and the letter will be reviewed by the Attorney Bolcato. The PTI was not recommended by the Prosecutor’s Office. Mayor Chammings reported a tour of the building was provided to some members of the Byram Township Committee as they are currently considering a building renovation. Ms. Knott will provide information on the phases of the project. The DPW has conducted a survey of township roads for CenturyLink issues and are planning to do so on the County roads as it is important to have documentation. Mr. Bolcato has reached out to SECTV to request copies of pole agreements they may have as they have claimed they do not own any utility poles and have no maintenance obligation for the trees and foliage. The SECTV attorney is working on providing that information. The in-rem foreclosure final judgement was filed last month. Deliverables: Letter summarizing findings and electronic copies of documents, to be provided by email. Deliverables: AutoCAD file of established right-of-way lines and points set. Deliverables: AutoCAD files by email, along with a PDF of the signed and sealed survey. Ms. Chammings felt topographic mapping and all the concepts included were not necessary at this time as the plan was to trim back the right-of-way to provide improved site distance and sharper right-hand turn. She would like clarification before considering Task 3. Mayor Chammings made a motion authorizing Task 1 and Task 2 for the amount of $4,900, funds permitting and pending further information from the Engineer and CFO, seconded by Mr. Scott. Mayor Chammings was contacted by a resident regarding speeding on Route 622. A serious motorcycle accident happened in that area recently. The County Engineer has indicated it is up to the township to request an evaluation of posted speed limits and he provided information. Mayor Chammings asked if the Committee would be interested in having a traffic study conducted. The Sheriff’s Department has been asked to display a speed trailer and they have done so. The State Police have also been asked to increase patrols in that area. Mr. Scott suggested having the study done and consider decreasing the speed limit between the church and Route 521 to 25 mph. It is a residential zone and there are many children in that area. Mayor Chammings was not sure of the residential designation as the density may not meet the requirement. Following further discussion, it was agreed to have Ms. Knott contact County Engineer Bill Kopenaal for the procedure to lower the speed limit in that zone. Mayor Chammings will inform the resident that the township is addressing her concerns. Mayor Chammings asked if any resident observes a utility issue or has a concern, please write down the pole number, take a photo and provide it to the township so the matter can be addressed. At this point, this portion of the meeting was opened to the public at 8:10 p.m.
Jack Branagan, 961 Old Schoolhouse Road expressed concern with the new phone system and the difficulty contacting the correct department. Ms. Knott has contacted the phone company and they are scheduled to come back to address any issues. Ms. Knott has called the different extensions from her phone and it works correctly every time, however when calling from outside the building the prompts are not going to the appropriate individual and she receives most of the phone calls. Mr. Branagan questioned the use of millings on the driveway to the Recycling Center and if they would be capped. Mayor Chammings explained the millings would be compacted and then oil and stone would be placed over the top in accordance with regulations. Mr. Branagan offered to provide plant choices and a drawing for the garden beds in front of the Municipal Building. Ms. Knott stated it would need to be plants that can survive in a shallow bed. Mayor Chammings noted Matt Cleaver is planning an Eagle Scout project for around the flagpole at the building. Beth Raff, 1002 Mount Benevolence Road expressed concern with speeding on Mt. Benevolence Road and she questioned what the gross vehicle weight is for tractor trailers on that road as their use of the road has increased and they travel at a high rate of speed. Mayor Chammings stated if there is no bridge the weight limit is not posted. She noted another resident has recently complained about tractor trailer usage on Stillwater Road as well. Mayor Chammings noted GPS assists the drivers in circumventing Newton. Ms. Knott will contact Mr. Kopenaal to inquire what the County considers a residential zone to ascertain whether or not the speed limit can be changed. There being no further members of the public wishing to speak, this portion of the meeting was closed at 8:21 p.m.
After the reading of the following Resolution to enter into Executive Session, a motion was made by Mr. Scott, seconded by Mr. Fisher and carried by roll call vote to adopt the resolution permitting the Committee to go into Executive Session at 8:22 p.m. There being no further business to attend to, a motion was made by Mr. Scott, seconded by Mr. Fisher to conclude the Executive Session at 8:28 p.m., unanimously carried by roll call vote. There being no further business, Mr. Scott made a motion to adjourn the meeting at 8:31 p.m., seconded by Mr. Gross. In a voice vote, all were in favor.